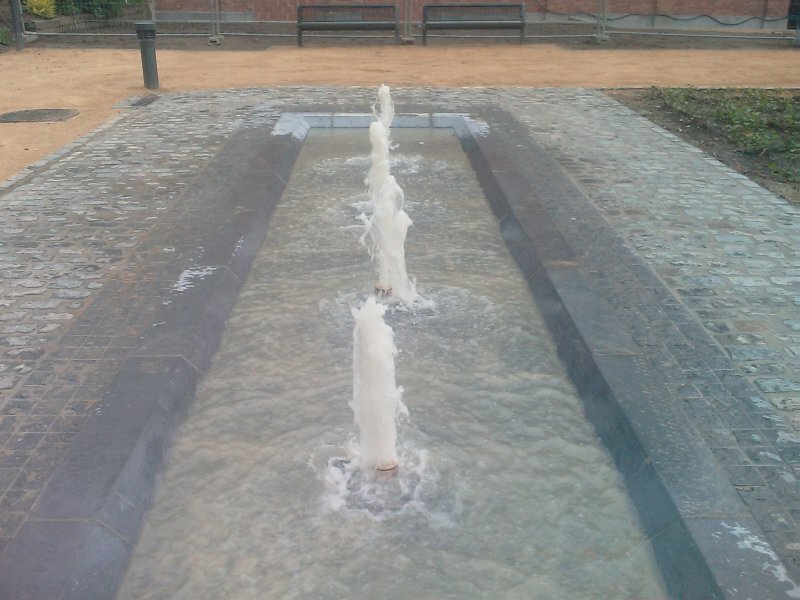 Two fountains realised shortly after another in view of the Van Huffel city renewal contract. 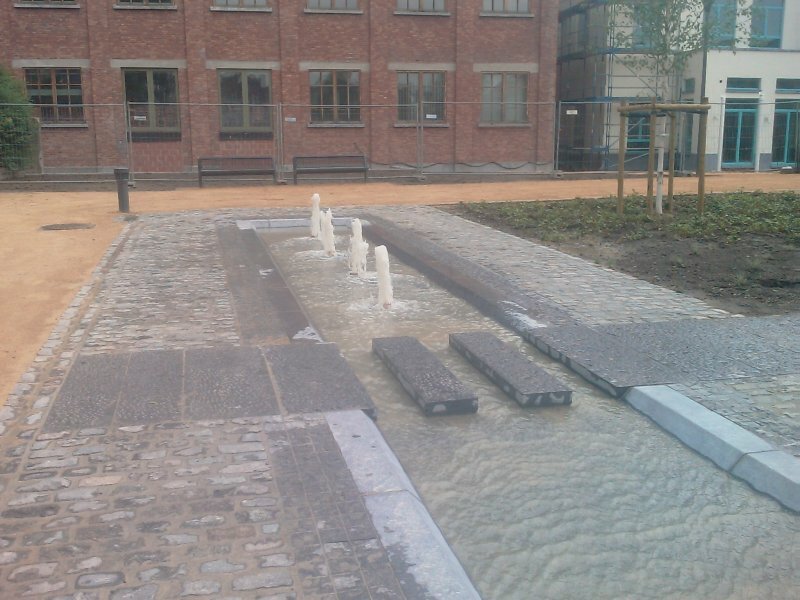 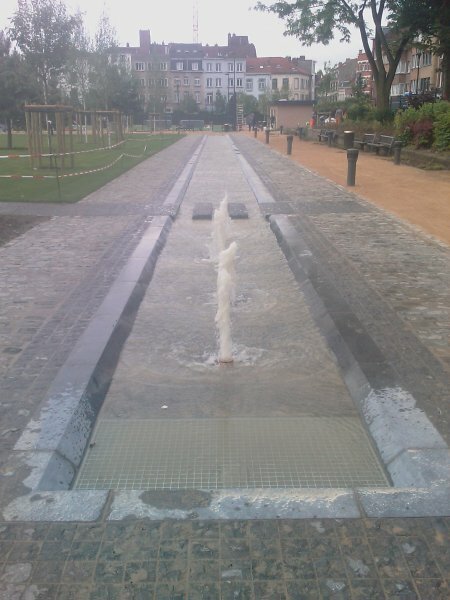 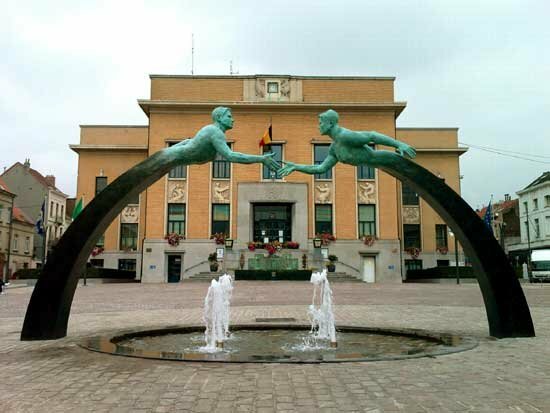 The first fountain at Place Van Huffel has 4 illuminated foam type nozzles, situated underneath a sculpture. 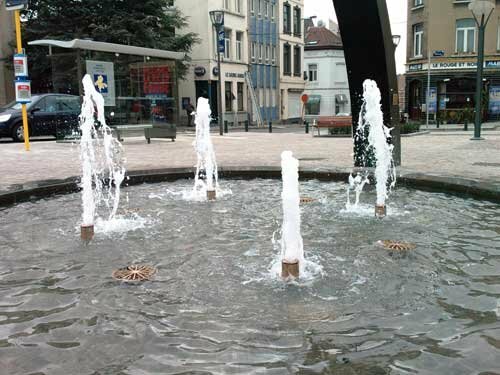 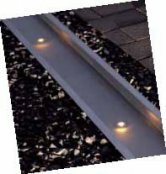 The second fountain at Place Ganshoren is a rectangular shaped bassin that also holds 4 nozzles of the same type, but without illumination.